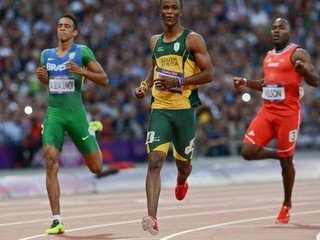 If you’re not familiar with the name, Anaso Jobodwana which planet are you living on?! The 23-year-old was famously photographed running alongside Jamaican sprint champion, Usain Bolt last month at the 15th IAAF World Championships in China. Anaso, who was born in the Eastern Cape, has shared some personal moments with our East Coast Breakfast team. One of them involves a very heated incident with convict and Paralympic champion, Oscar Pistorius. Take a listen to his interview below.